Back in February, I was hanging out on Facebook (can you really hang out on Facebook) and saw a link posted by an individual in my friends list. The link was to the blog of a young woman who I had never heard of, but the title of the post intrigued me: Committing To Indie and Supporting the Little Guy. Her name rang a bell, but I couldn’t recall from where. I ran her name through my head a few times then searched her blog, trying to recall why her name sounded familiar. While perusing the blog I saw a lot of great information for writers, as well as links to other blogs with more great information for writers. Then I found it by accident when I almost overlooked a post titled Accepted, which mentioned her short story, Cure which appeared in Tales of the Zombie War. Since then I have followed Belinda Frisch’s blog and enjoyed the myriad of topics and links that she provides folks. So… naturally, I wanted to find out more. Please welcome Belinda Frisch to the Donor Center. AJ: Who is Belinda Frisch? BF: It would be easiest to say that I am a writer, since that’s why we’re here, but I don’t necessarily define myself that way. Sure, I write. I’ve been writing since my teens with about a ten year, single-parent hiatus built in there, but it’s only a part of me. I want to be a full-time writer because it’s best to work at what you love, but I am a lot of things. I am a wife and mother, my grandparents’ caretaker, an animal lover (and maybe the only person I know to try to start Christmas shopping early and impulse buy a marsupial), a medical billing guru, a girl that loves a walk on a Maine beach (though I don’t swim in the ocean) and a New England lobster dinner, a fan of movies–especially a good horror scare, an avid home cook, a reader, and maybe most importantly, an overcomer of challenges. I am the persistent explorer of the road less traveled. AJ: You once bought a marsupial on impulse? BF: Yes. We, my husband and I, went to our local mall a year ago November planning to get a jump on holiday shopping. The food court was packed and since we knew it wasn’t because of the food, we went to see what the draw was. 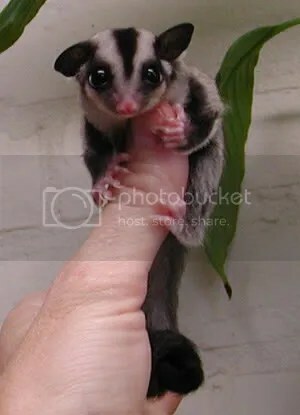 Turns out a company out of Florida was selling sugar gliders, marsupials. One look and I had to have one. We bought Bandit and came home to do research. I told you it was impulsive. I found out that they shouldn’t be alone and the next day I told work I had a pet emergency, which I kind of did. I went back the day the company was leaving and bought Rascal. Now we have two. AJ: Wait a minute. Let me see if I have this right: You have TWO marsupials? And your husband was fine with this? How do you care for them? BF: My husband’s agreeable. All I had to do was say pretty please. Basically, the gliders are like gremlins. As long as they don’t get wet, fall in the toilet (biggest household hazard), hang out around Teflon pans when you’re cooking (the fumes will kill them), or eat anything they shouldn’t, they’re fine. They did eat a pair of my favorite high-heeled shoes on our car trip home from vacation last summer, but as long as they’re in their cage or in my pocket, they’re fine. AJ: I’ve never met anyone who actually had a marsupial for a pet. That’s too awesome. I want to go back for a second and touch on something you said earlier: I am the persistent explorer of the road less traveled. Can you explain this and does this also go hand in hand with your writing? BF: Pretty much it’s a general statement. If there’s a hard way and an easy way, I’m taking the hard way. Especially if everyone else says how great the easy way is. I’d rather discover something no one knows about than jump on the bandwagon to praise something along with the masses. Does it bleed into my writing, yes. Definitely. Horror is a lesser favored genre and please, don’t throw tomatoes. I love horror culture and it’s my preference for writing, reading, and movies. I love indie writers and this do-it-yourself movement rocks, but I can’t say it hasn’t lost a little luster because of how many people are doing it. I write the kind of stories I would want to read. Dead Spell is not typical or easily categorized as solely horror. It’s so many things but above all, it’s personal. I didn’t write it to make a million dollars. I wrote it because it insisted on being written and the ripple of response from my few readers has been strong. Everyone that’s contacted me has identified with Harmony, who I think is the least conventionally likable character. Writing Dead Spell was kind of a bloodletting, a dark poison that I needed to get out before going more mainstream. I think, though, that no matter what I write, there will always be a darkness about it. My next novel is a more mainstream mystery titled Reassigned. It is not horror, but deals with the darker side of humanity and what is done in the name of medical advances. AJ: No tomatoes from this writer. I write horror as well and I have no problems with folks frowning about it. Since you brought up Dead Spell, do you mind telling us about it? Brea Miller is straddling the social lines of her small town high school. Her mother is a control freak, her father moved away under mysterious circumstances years ago, and her best friend, Harmony, is haunted by Tom, the evil spirit that came through her Ouija board. When Harmony dies, Brea becomes the target and she must figure out who Tom is and what he wants before she is next. Brea goes from reclusive to reckless, breaking down barriers at school and at home by asserting herself in a way only Harmony knew how. She is torn between living her life or her dead best friend’s and between the boys in each of them. Thrown headlong into Harmony’s dark world, Brea realizes that even best friends have secrets. “Dead Spell is a disturbingly beautiful novel of character and moment and the dark echoes that ripple from them and between them. While firmly a horror novel, the darkest thing about the story how the real horror is perhaps more terrible than the supernatural horror. The latter amplifies the former, which makes all of it far more haunting and makes its compelling protagonists victims in every sense of the word. I couldn’t have said it better myself–at least not without sounding like a narcissistic jerk. There’s another thing about me, I’m not great at taking praise. AJ: Wow, that sounds like a great concept. Where did that story idea come from? BF: More than anything, I had characters I wanted to write. The Ouija board was something that seemed to fit, that I remembered from being a teen, and the rest was the result of crunching on a basic idea until the details come out. I usually get my best ideas in the shower. Dead Spell changed entirely at least twice, if not three times. Different characters lived or died or didn’t exist altogether. I think that’s why it took me a year to write it. I didn’t publish it until I felt it was exactly what I wanted. AJ: Speaking of publishing, how did you go about finding a publisher and what was the experience like? My blog plays out the debate, the pros and cons of independent versus traditional publishing, as it happens in my head. I loathe the term “self-publishing” because it hearkens back to the vanity press stigma that incorrectly labels what I and other are now doing. 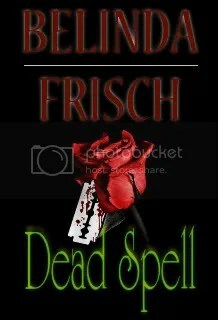 Dead Spell was edited by Glen Krisch who is an editor for Morrigan Books. Kealan Patrick Burke did the cover. Small press would not have offered more than that and the financials were more in my favor to do this independently. I can’t tell you if I’ll pursue traditional publishing or stay the independent course. For now, I am just writing. After Reassigned is finished, I have a zombie series based on a short I did for the Tales of the Zombie War’s website. I have time to decide what comes next, but I love that there’s an option. AJ: I’ve had many debates with folks over the years about self publishing. I find nothing wrong with it, but I agree that it sounds like vanity publishing and can be misleading. So many folks have said if you are self publishing then that means that others don’t want your work. I don’t buy in to that philosophy at all. For me, I’ve read as many self published books that were really good as I have traditionally published books. In the same token, I’ve read some pretty bad traditionally published books that if they had been self published then there is a good chance they wouldn’t get purchased. I sincerely believe, if the writer takes his/her time, edits, re-edits, re-re-edits the story and really pours their hearts into it, more often than not the story will be clean and, hopefully readable. I’ll come back to Dead Spell in a minute–I’d like to know where to purchase it–but for now, the story you mention from Tales of the Zombie Wars, is that Cure, the story involving Miranda Penton? If so, what do you have planned for Miranda? BF: Ah, yes. I actually revamped that story quite a bit and while I am not quite ready to spill all the beans, I rethought some of the corporation/military clichés and got back to my medical roots. The entire thing is now set in a hospital/research facility. Miranda will be subjected to the same treatment as the others before her, but with much different results. AJ: I want to go back to something else you said earlier. You wrote Dead Spell because it was in your heart to write it. I’ve said for a long time that if you write with heart and emotion and pour yourself into a story that those stories are always so much better than when you don’t. When you sit down to write, do you pour yourself into your stories? BF: Sometimes, yes. But to various degrees. For Dead Spell, I was all in. It touched deeply on a lot of issues very close to my heart. That’s all I can really say about it. Sometimes I just write a clean, lean crazy story and it becomes more about the writing than the emotion. Those stories don’t stem from past experiences and aren’t personal to me. They’re just writing for writing’s sake. As for what’s good versus well, less good, I can’t say one kind of my writing is “better” than the other, but I can say I am more attached to the work that comes from my heart for sure. AJ: You mentioned you’ve gone the traditional route (before Dead Spell). Does this mean you have another novel out there? AJ: I bet it was. I read in your blog recently about your views on Indie publishing verses self publishing and you mentioned earlier that you loathe the term self publishing. That post can be found here: What Indie is to Me. I found it intriguing and liked the way you put it when you said Indie is a state of mind. Can you expand on this a little more? BF: Indie, to me, is all about independence. What could be more state of mind and being than that? It’s doing all the traditional steps yourself. I hired a freelance editor to work on Dead Spell. He’s an editor for Morrigan Books and a fellow horror writer. I don’t think when you take the extra steps that self publishing or vanity publishing terms still apply. I also like to think indie means you’re outside of the norms, but I realize that’s getting to be less and less the case. AJ: Independent is an apt term and definitely fits with what many writers are trying to do. Do you feel there is a negative image surrounding the independent writer, or self publisher as so many would choose to call it? BF: Yes. I’d like to say no, but the prejudice exists. There was a recent self-pubber meltdown and the comment thread was laced with heavy anti self publishing sentiment. I see it a lot in my blog travels and it always bothers me. AJ: Ah yes, that meltdown that was brought on by one review of the author’s book, which, in all honesty, was not a negative review. I saw that and the repercussions for that writer have been severe to say the least. If you could change the view on the independent writer how would you go about doing it? BF: I’m not sure there is an easy answer to that. I’m low visibility. People like Joe Konrath are really the game changers. They put out clean, profitable work and get cred with the naysayers for having been traditionally published. I can only do what I do. Write and put out the best work I am capable of. If all us indies do that, we will shake the stigma. The stigma is actually what encourages me to go traditional again to prove the point that indie is a choice, not a last resort. Too many people associate independent or self published work with work that couldn’t get traditionally published. That’s not always the case. AJ: I think you provided the best advice in your answer. If all the indies write and put out the best work they are capable of then things will change, the view of the independent writer will change. Perfect advice. I’m going to let you go shortly, but before I do, is there anything else you would like the world to know about Belinda Frisch? BF: Nothing comes to mind. I have a blog geared toward writers and I try to help more than I ask for help. I try to inspire because I know how hard this is. I also know how much a writer loves what they do. Stop by, follow me, chat, and pick up a copy of Dead Spell to help support the little guy. She really wants to shake the day job. AJ: Don’t we all want to shake up that day job? One more thing before I let you go: how are those sugar gliders doing? BF: They are great. Its late, so there is barking like a chihuahua, food throwing, and other glider shenanigans going on from now until 7am when I’ll have to clean up their mess. Thanks for the interview! I really appreciate you asking me. AJ: And thank you for your time and for graciously participating. Be wary of Herbie on the way out. He doesn’t like to share the orange juice and cookies. Belinda is a lovely lady. Myself I am glad we met a bit ago. Who doesn’t love good horror books 😉 Thanks for sharing. I would suggest to anyone buy one of her books, good reading there. I have a friend who loves Sugar Gliders. They’re soooo cute! Great interview. Thanks, Belinda!